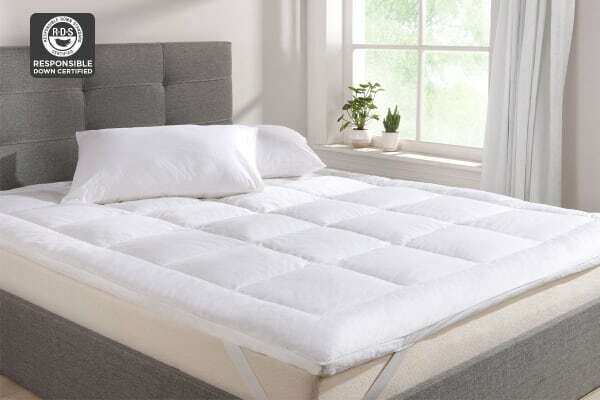 For the perfect balance of firmness and softness, and the added luxury of quality goose feathers and down, trust in this Ovela mattress topper to deliver a deep, satisfying sleep. If coming home to rest on a fluffy pile of the softest goose feathers and down sounds oh-so-comfortable, that’s because it is. Sleeping on the the Ovela Goose Down and Feather Mattress Topper is like sleeping on a cloud. You’ll love the extra cushioning, extra softness and extra all-round comfort. These 750GSM toppers boast a totally luxurious feel and contour snugly around your body for added support. Down and feather toppers are particularly important in winter due to the extra warmth they provide. Snuggle up on one on those cold winter mornings and you’ll never want to leave your bed! Ovela Goose Down and Feather Mattress Toppers are constructed using only the finest materials. 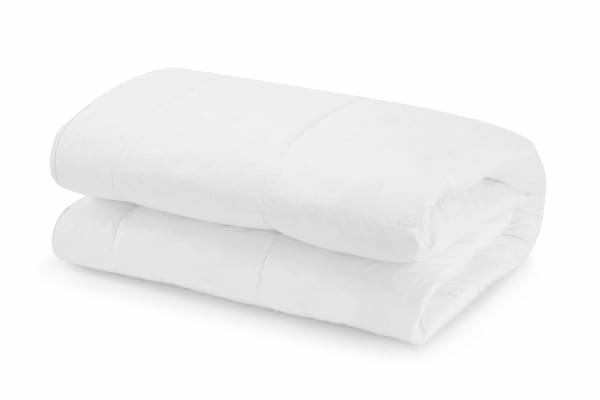 They’re made up of 5% goose down, 95% goose feather, feature a tight and compact baffle box construction and a silky soft 100% cotton cover to finish. Baffle box construction is particularly important, as it helps to prevent feathers from moving around in the topper, resulting in more support and enhanced longevity. Generally, you should always choose goose feathers over duck. Goose clusters are often larger than duck clusters and typically come from older, larger birds. As a result, goose down tends to produce higher fill powers, be more resilient and durable than duck down. Your mattress is an expensive investment. So why not protect it? The Ovela Goose Down and Feather Mattress Topper can act as a protective shield from leaks, spills, dirt and dust.